Born in Durham, Jill Dawson grew up in Yorkshire. She has held many Fellowships, including the Creative Writing Fellowship at the University of East Anglia, where she taught on the MA in Creative Writing course. In 2006 she received an honorary doctorate in recognition of her work. She lives in the Fens with her husband, two sons and foster daughter. 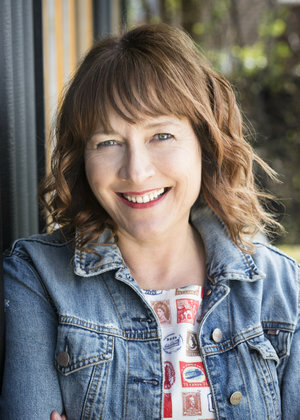 Jill's novels include, Fred and Edie, which was shortlisted for the Whitbread Novel Award and the Orange Prize, Wild Boy, Watch Me Disappear, which was longlisted for the Orange Prize, The Great Lover, a Richard and Judy Summer Read in 2009, Lucky Bunny and The Tell-Tale Heart. In addition she has edited six anthologies of short stories and poetry. 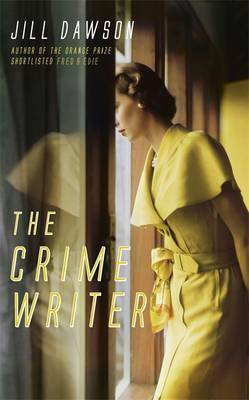 Her new book, The Crime Writer, now out in paperback, is a portrayal of Patricia Highsmith set in the 60s in Suffolk, where she has come in order to concentrate on her writing and escape her fans - and to continue a secret romance with a married lover Unfortunately, it soon becomes clear that all her demons have come with her. Prowlers, sexual obsessives, frauds, imposters, suicides and murderers: the tropes of her fictions clamour for her attention, rudely intruding on her peaceful Suffolk retreat. Below, exclusively for Foyles, Jill talks about capturing the truth, her admiration - and distaste - for Patricia Highsmith and creating a 'third space' in which to write. What made you choose Patricia Highsmith as the subject of your latest novel? How did you feel about her on beginning your research, and how do you feel about her now? I found her an addictive writer, mesmerically compelling but I also felt about her how Ginny does in the novel: ‘I don’t think you could call me an admirer. I find much of your writing strangely distasteful….’ The distaste comes from the fact that Highsmith is obsessed with evil and criminality and why people commit the most heinous acts. She has an uncanny talent for capturing this and the page seems to bristle with it. In the end though, I also admired her craftsmanship, her bracing honesty and her superior psychological insights. The book plays masterfully with the boundaries and blurred lines between fact and fiction. Do you find that you can be more truthful in fiction than in fact? Fiction has its truth - readers know that and this is why we read it. Is it ever possible to write a ‘truthful’ account of oneself or somebody else, or are we all simply the mythologies we, and others, construct? Well that is the subject of this novel, really. Having had psychotherapy and considered becoming a therapist myself I’m particularly interested in the subconscious and the way that most of our selves are under the surface. Many people I meet (and read) are hugely lacking in self-knowledge and that bores me. I believe Highsmith was unusually self-aware. She knew even when she was deceiving herself. That gives her a fascinating insight into others. Without giving a spoiler, the book leaves the reader uncertain of what has and has not happened. Do you know what actually happened to your character, and do you mind if your reader reaches a different conclusion? Yes, I’m clear. But I don’t mind at all if readers aren’t…. I think a novel should keep some of its secrets. Perhaps on a second read they will feel differently. That has happened to me when I’ve re-read a novel. There’s an interesting dialogue about the nature of biography that runs through this book, and it’s not terribly kind to the biographer. What do you think Highsmith would say to you if you were interviewing her for The Crime Writer? Your books often sit in a hinterland between biography and fiction. What has made you create this third space to write in? I think it comes from my interest in psychotherapy and my observation that some people – including some biographers that I know – don’t know themselves or understand people or psychology very well; or endlessly judge without knowing that they are doing it and therefore are not well placed to understand others, or colour every comment with their own perspective. I don’t believe biography can be objective or definitive. We have many selves. I read eleven biographies of Rupert Brooke when writing my novel The Great Lover. A different man emerged in each…..
Highsmith reportedly hated being called a ‘crime writer’. Why did you call the book The Crime Writer? Like most writers Highsmith didn’t like being labelled (she wouldn’t, I’m sure, like being called a woman writer – men are never called ‘men writers’) but on the other hand her subject really is crime, or criminality, just as Dostoevsky’s is, or Camus, or many of the other writers she admired. She once said that life wasn’t worth living if there wasn’t a crime in it. Crime is certainly of profound interest to her. You make reference to Virginia Woolf’s belief that she was living two lives; her imagined life, and her real life. Like Woolf, Highsmith seems to blur the two together, and like Woolf she had a lifelong struggle with various forms of depression – do you think this is an inevitable price artists have to pay if they want to access the kind of depth that produces brilliance? No. I don’t think we all have to be depressed to produce good work. But I do feel that we have to have the capacity to imagine something fully, really go there imaginatively or actually, in order to conjure it for readers. You play with a lot of stories, quotes and ideas from various sources which you detail in your acknowledgments, but you’ve come back to one particular quote by D.W. Winnicott, that you used in The Great Lover, and have reimagined for Highsmith, 'It is a joy to be hidden, but a disaster not to be found.' What is the significance of this phrase to you personally, and why did you re-imagine it for Highsmith? Ha! I share a preference for aloneness. And I like disguises, as she did. The very last word in the book is 'true'. For a book that plays so freely with concepts of reality this seemed like a powerful statement that perhaps everything is true and therefore, truth doesn’t matter. Is there some ‘truth’ to that? Ronald Blythe described their friendship as ‘tender and true’. I was mindful of that in writing it. The last word is significant, yes. I would not say that truth doesn’t matter. * Jill Dawson was interviewed for Foyles by Vanessa Blackledge, who completed Jill Dawson's Gold Dust mentoring programme early in 2016.